Our wood pellet is producted directly from sawdust and shavings compacted without adding binder to benefit from the highest possible energy efficiency. Our wood pellets are actually certified Din + with European standards , the most stringent German standards for the combustion quality. In addition, during their combustion, these woods pellets do not cause release of chemicals in order to make a fully ecological product . 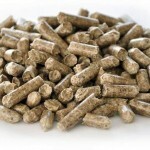 Ecological and efficient, these woods pellets are the best heating system.